← DID VERUSHKA INSPIRE PEETA IN THE HUNGER GAMES? Feng Shui By Fishgirl just found some Helpful People in Ohio. 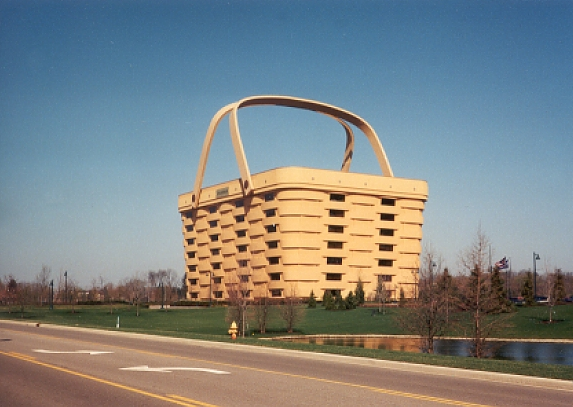 If you’ve got a broken basket, the Longaberger company has a restoration department that can repair it for you. 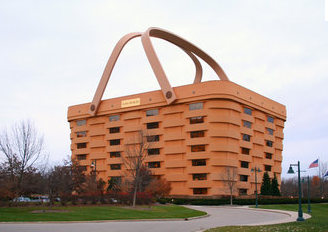 Succeeding in business is no picnic in this economy, but the corporate headquarters of Longaberger is a picnic basket! They make the maple wood baskets in the USA and have many fun gift products on their website, too. 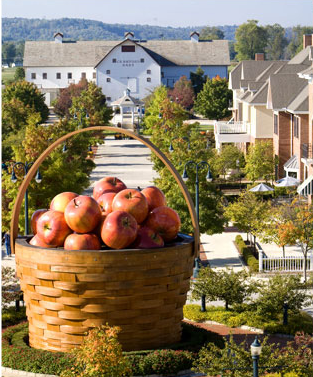 I love the apples-in-a-basket themed giant sculpture, too. Craaaazy!